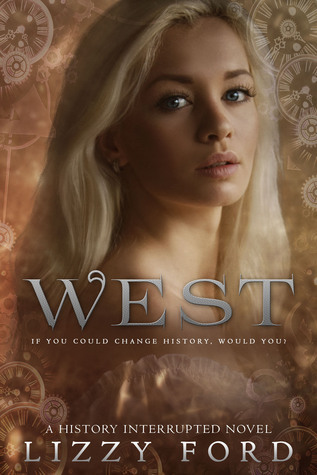 Synopsis: If you could change history, would you? This book was a cover download book. I found the cover so pretty, so without even checking out what it was about, I downloaded it and imported it in my library. And days later, I started reading it. And I really don’t regret it. Josie is a normal girl whose life has been turned upside down upon meeting Carter. I loved Josie. She was a strong main character who doesn’t get discouraged easily (especially since if it was me, I would have freaked out if I discovered I was sent out in the past!). Her detective skills doesn’t stop her from being a romantic girl despite the situation she is in, and she is quick to defend herself in a world where women are considered only as good to marry off. I loved her feminist side, especially towards her brat and horrible cousin, and she was only of the realest character I’ve ever read. Even when she freaks out I don’t blame her, ’cause I would have freaked out by then! The plot was really well written. It had the right doses of humour, of supernatural (in this case the supernatural element of the book is kind of main made as it was by the means of chips, but you’ll understand it better when you’ll read the book), of romance and of mystery. The plot twists blew my mind. Not literally, but still. I can actually predict most of them but this time, it was totally not what I thought at all. I was like, ARE YOU KIDDING ME WHUTT WHUTT WHUTT??? It was so well written, and I loved the mystery. The romance awwwwww. I loved every single bit of it! I won’t say that it was well-written because I would repeat myself but gosh, it was amazing! And it made me cry so much! Also, Carter, gosh. I am going to do things to you. On the overall this book was totally amazing, and I recommend it to everyone! If you are into romance, mystery and time-travel, then you will really love this book!